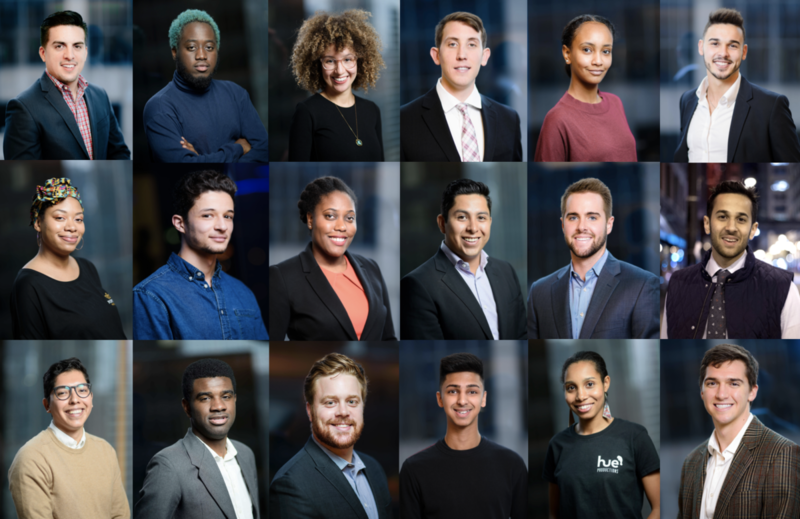 Future Founders, a non-profit organization that believes every youth can become an entrepreneur, today announced the 18 entrepreneurs who were selected to participate in its inaugural Residency program. The Residency, formerly called the Chicago Cohort, is an innovative six-month pilot program designed to empower diverse millennials to launch and grow businesses in Chicago. Participating founders will benefit from mentoring by seasoned entrepreneurs, skill-building workshops, a peer community, access to startup grants, and volunteer opportunities through Future Founders programs. The program will officially commence in January 2018. The Residency is made possible through a generous grant from the Blackstone Inclusive Entrepreneurship Challenge, which is sponsored by the Blackstone Charitable Foundation, World Business Chicago, and ChicagoNEXT. Acceptance into the Residency followed a competitive application and interview process during which members of the entrepreneurial community provided feedback on the candidates. The 18 entrepreneurs who were selected for the 2018 Residency represent 15 companies, including solo founders and co-founders. The Residents’ businesses represent industries including arts, consumer products, food and tech. A-PART is a fresh, online art experience for the 21st century. Rent or buy prints and photographs from both emerging and established artists. Bondfire is an app that allows up-and-coming musicians to easily schedule unique and secure on-demand meetups with their fans like never before. Clearmaze Technologies streamlines the community college transfer process in three steps, effectively ensuring no student loses credits when transferring. E-Z Clean is a mobile app and online platform that allow users to simply select and subscribe to a cleaning plan tailored to their needs. Elite Development is a remote-based training business that offers individual training at an affordable price to baseball players around the country. Gheko Technologies, LLC makes durable and affordable wearables that enhance function and treat patients with peripheral neuropathies and related medical conditions. HowDoWe, Inc. is a technology service that provides schools and associated school groups with a platform for all their fundraising needs. HUE Productions, LLC is an educational entertainment company that utilizes the arts, entertainment and media to inspire social change. Maestro10 is the easiest, safest and most affordable way to connect with an experienced private soccer coach who can help improve athletic performance and reach individual goals. Match Langua creates unique community-based oral language, cultural and networking experiences in Chicago by matching native speakers with language learners for authentically cultural and oral language learning practices. Travel globally through languages locally. Popped Handmade offers natural, handmade beauty products that ease the mind with high quality ingredients, pamper the body, leaving skin soft and smooth, and lift the spirit with light, invigorating scents. The best shoe storage solution for shoe collectors, resellers, and enthusiasts. StarveBelly is a logistics business integrated with an online food delivery platform that serves as an intermediary between independent take-out outlets and customers. Tubby’s Taste Homemade Vegan Baked Goods and Ice Cream tastes great – not just for vegan food. Zarf is a content marketplace where writers can sell access to their independently published work through subscriptions or one-time sales.